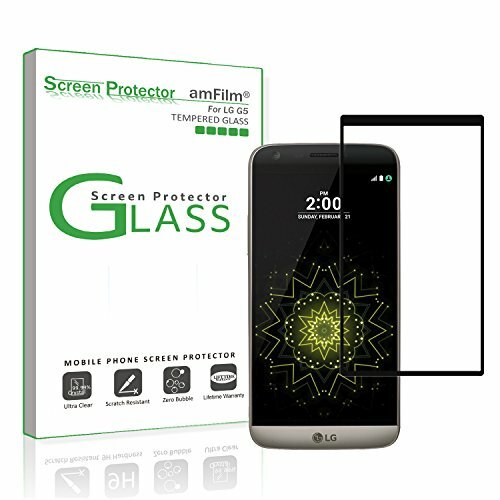 Specifically designed for LG G5. 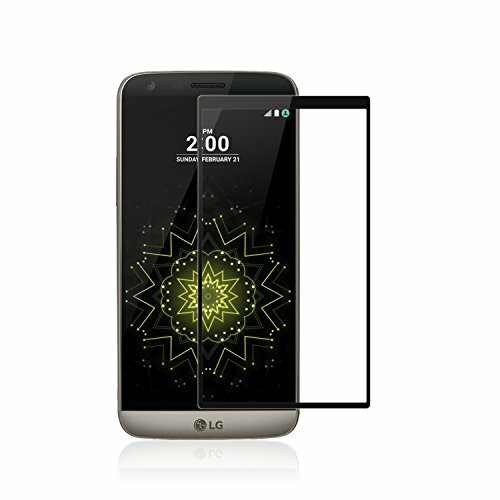 Black Border provides a stronger grip around outer edges of the phone. 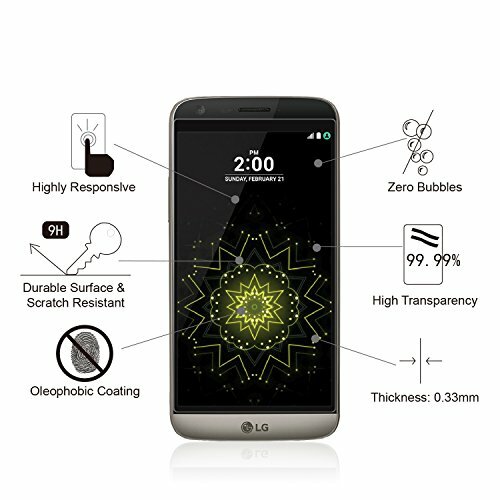 Ultra-clear with 99.9% transparency to allow an optimal, natural viewing experience and topped with oleophobic coating to reduce fingerprints. 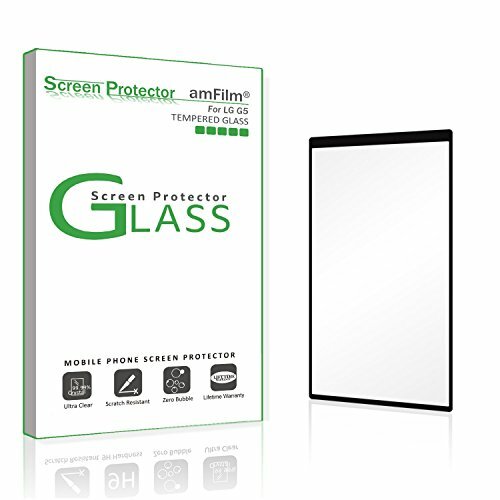 Highly durable, and scratch resistant - surface hardness 9H. 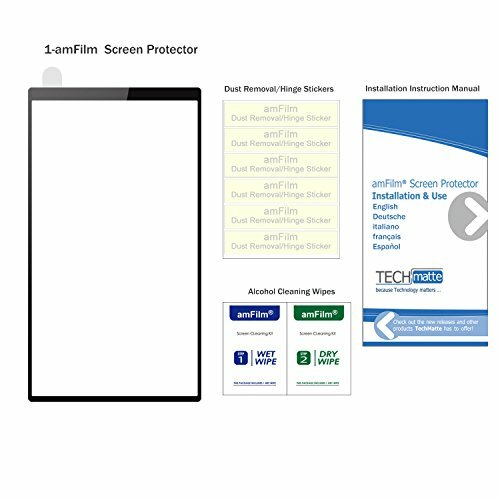 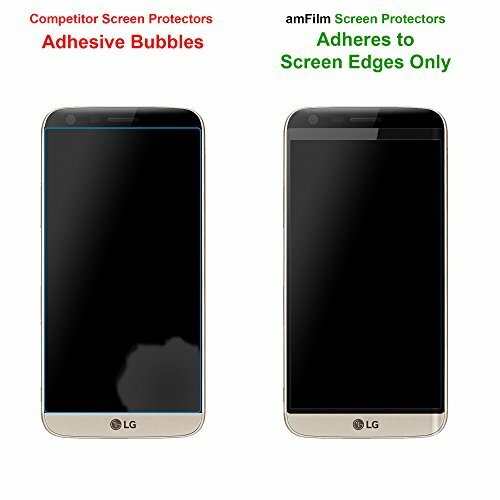 Adhesive backing on the black border of screen protector, so the protector is guaranteed to stick.